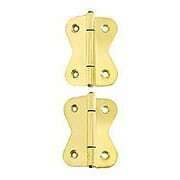 Offset cabinet hinges mount to the cabinet door frame and surface of the cabinet door, and are used when cabinet doors project out from the surface of the frame. 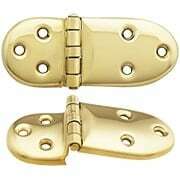 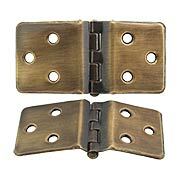 Made from solid brass and available in a variety of sizes and attractive finishes. 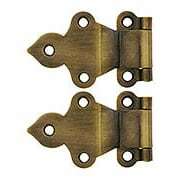 Dating from the high-Victorian era, these Gothic-style offset hinges give your cabinets a distinctive flair. 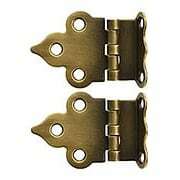 Reproduced in solid brass, they're durable enough for kitchen use, yet elegant enough for your dining room decor. 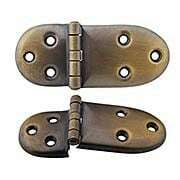 Our exclusive Antique by-Hand finish ages gracefully over time into a beautiful natural patina. 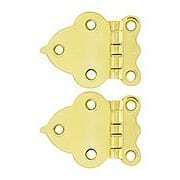 Reversible for left or right handing. 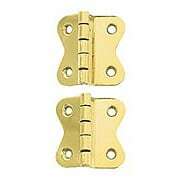 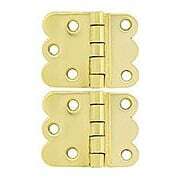 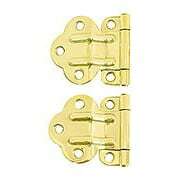 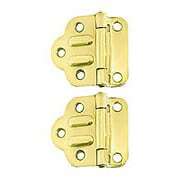 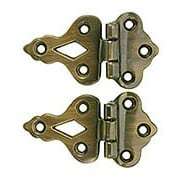 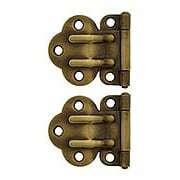 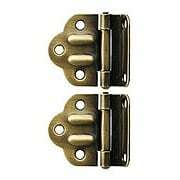 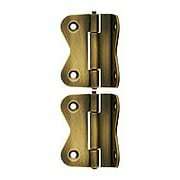 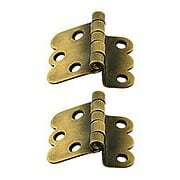 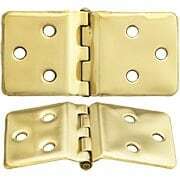 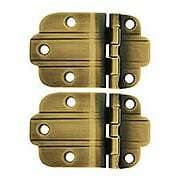 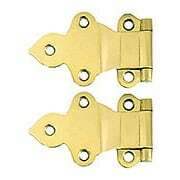 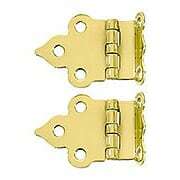 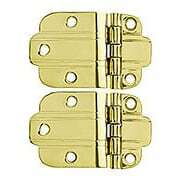 Pair of Wraparound Cabinet Hinges in Antique-By-Hand - 1 1/2" x 3 1/8"
These solid-brass hinges are authentic replacements for many Sellers brand or other kitchen cabinets. 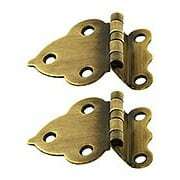 One side of this unique, wraparound design mounts on the front of the upper cabinet door, while the other mounts on the side of the cabinet itself, creating a 90 degree angle. 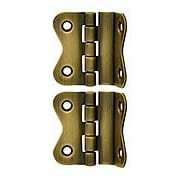 It accommodates a 3/8" or 1/2" offset, and comes in our exclusive Antique-By-Hand, a living finish that ages gracefully over time into a beautiful natural patina.